(Updated Thursday at 3 p.m.) Metro leaders are hoping to increase service during the morning and evening rush hours next year, but they could well face an uphill battle in convincing Arlington officials to help fund the change. WMATA General Manager Paul Wiedefeld proposed a budget for the new fiscal year that doesn’t include any fare increases, but does call for rush hour service to extend to 10 a.m. and 8:30 p.m. to better serve commuters. The budget, set to be reviewed for the first time by Metro’s Board of Directors tomorrow (Thursday), also beefs up service on the Yellow and Red lines and expands all trains to a maximum eight cars as part of a broader bid to win back riders for the struggling rail service. The catch, of course, is that such service increases won’t come without a steep price tag. Even though Metro expects to bring in some new revenue with the added service, Wiedefeld expects that he’ll need an extra $20 million from Maryland, D.C. and Virginia to afford those changes. 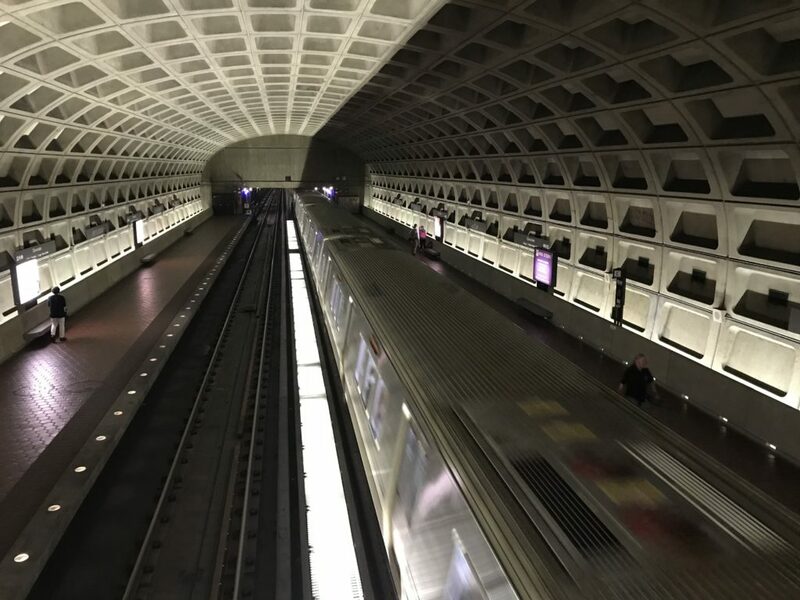 Virginia relies on individual localities like Arlington to chip in for WMATA each year, and that means Wiedefeld’s proposed changes would increase the county’s annual funding obligation to Metro from $75 million each year to $83 million. That works out to a 9.8 percent increase, a number that is giving Arlington officials some real pause. Christian Dorsey, the County Board’s vice chair and Arlington’s representative on the Metro Board of Directors, agrees that he’d love to see some service increases, particularly as Metro wrestles with a thorny internal debate about how to boost ridership. Yet he’s concerned that Arlington won’t be able to afford all of Wiedefeld’s changes, at least all at once. The county is already dealing with an intense funding squeeze, driven in part by falling revenues but also by the deal struck by state lawmakers to provide dedicated funding to Metro, which already put a larger burden on Arlington’s budget. This latest funding increase could make the county’s already grim financial picture even gloomier, Dorsey said. As Dorsey puts it, “something’s got to give, and something’s got to shift” in Wiedefeld’s proposal. He expects that some of the proposed changes to boost ridership “might need to wait until later,” due not only to Arlington’s specific budget challenges but one specific issue affecting all of Virginia’s localities. A provision included in the dedicated funding deal prohibits the state from increasing its funding level to Metro by more than 3 percent each year, as part of a bid to control costs. Yet Wiedefeld’s proposal calls for an increase closer to 16 percent for the entire state, though that is largely driven by new construction costs for the second phase of the Silver Line, borne primarily by Loudoun County. To Cristol, who doubles as the secretary-treasurer of the Northern Virginia Transportation Commission and argued forcefully for the dedicated funding legislation last year, fighting to exceed that 3 percent cap seems like a perilous decision for Metro. She notes that the General Assembly included that cap in the funding bill as a way to control costs, and it became an essential way to justify the legislation to lawmakers skeptical of Metro’s management over the years. Cristol believes that the state exceeding that 3 percent cap so soon “flies in the face of” the spirit of what the funding bill was designed to achieve. Metro spokespeople did not immediately respond to a request for comment on how Wiedefeld plans to manage the challenge of the 3 percent cap. But, according to documents prepared for the Metro board, he seems set to argue that an exception to the cap would allow Metro ask for more money from the Virginia jurisdictions. The law does allow WMATA to ask localities for more cash, but only if it’s to afford an increase in service above and beyond what Metro is obligated to provide. Dorsey agrees that the cap “could become a problem,” but he’s waiting to hear Wiedefeld’s pitch before becoming more definitive on the matter. Cristol suggested that Metro might be better served by putting more of the funding burden on D.C. and Maryland to avoid Virginia’s strictures. But, even if Wiedefeld can find a way to surpass this legal hurdle, Dorsey wonders whether Wiedefeld’s focus on increasing service around the morning and evening rush hours is misplaced. While Metro ridership has fallen across the board in recent years, he points out that the declines have been steepest during off-peak times and on weekends, when riders might encounter waits of 20 minutes or more for a train. For instance, numbers set to be presented to the NVTC Thursday show that average weekend Metro ridership in Arlington dropped by 15.3 percent between 2016 and 2017. Wiedefeld’s budget does call for implementing a $2 flat fare for weekend trips, but Dorsey doesn’t expect that will do much to reverse the ridership slide.